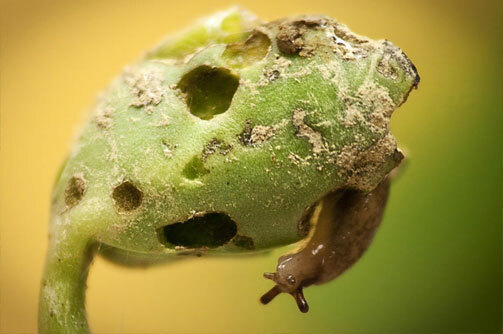 Slugs and snails are devastating to the garden. 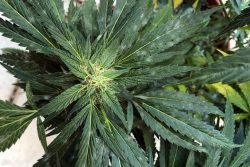 Their bacteria-infested slime is harmful for plants and even a danger to humans as we’ve seen with Hawaii’s rat lungworm disease endemic. There are many organic ways to control slugs and snails in the garden from using beer cans as a trap, to laying down copper foil tape, ash or diatomaceous earth around plants. 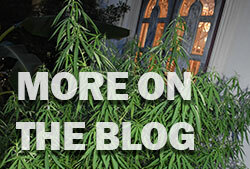 In this post we review one the most effective methods to eliminate slugs & snails: slug bait. What’s the best way to apply slug bait? What are Non-Organic Slug Baits made of? What is slug bait made of? Slug bait is usually sold as granular pellets with 1-6% active ingredient (slug killer) and an inactive cereal bran base or wheat gluten. 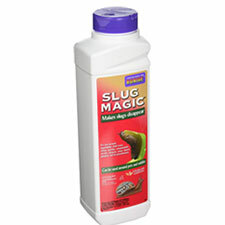 Most organic slug bait uses 1% iron phosphate as the active ingredient to kill slugs and snails. For the past 10 years the naturally occurring substance iron phosphate has been the most common active ingredient used in organic slug bait pellets. Iron phosphate is Generally Recognized As Safe (GRAS) by the Food & Drug Administration (FDA), and having a low water solubility is considered a safer alternative to non-organic slug baits containing Metaldehyde. Both Sluggo and Sluggo Plus are OMRI certified organic slug bait pellets that use 1% iron phosphate as the active ingredient, the difference being Sluggo Plus adds spinosad (explained below). How it works: Takes 3-7 Days to kill slugs and snails. 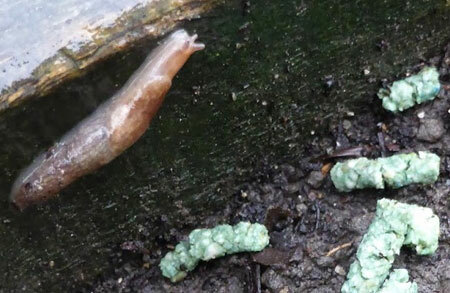 Slugs and snails often stop feeding on plants after ingesting iron phosphate slug bait, however it can take as long as a week for them to die. The low water solubility of iron phosphate gives these slug bait pellets a good life in rainy areas. 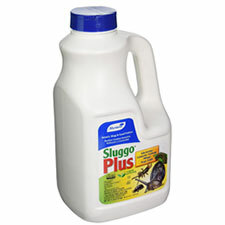 If the have a slug or snail problem in the garden, one of the best organic solutions is to use Sluggo slug bait pellets. 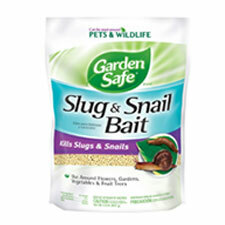 These work great for us in Hawaii, Sluggo OMRI listed slug bait pellets are pretty rainfall-resistant too. 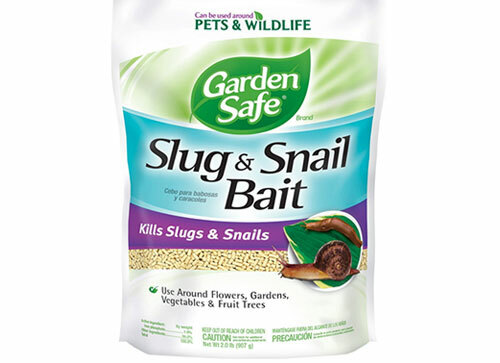 These Garden Safe slug bait pellets also use iron phosphate to kill slugs and snails in the garden. 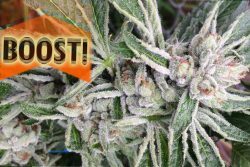 OMRI listed for Organic Use. 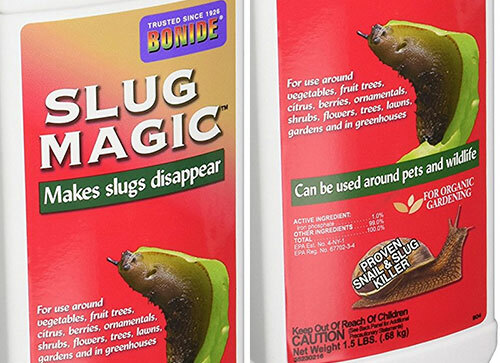 Slug Magic by Bonide is another slug bait pellet using 1% iron phosphate to eliminate slugs and snails organically. OMRI listed. If your garden is also suffering from pests such as the notorious cutworm, you may consider using spinosad to control them. 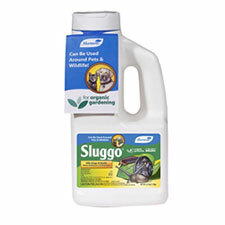 Spinosad is organic and added to Sluggo Plus to control a variety of garden pests. 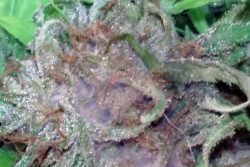 Spinosad is a naturally occurring bacterium that can be toxic to certain garden pests. 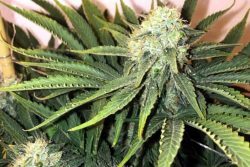 Spinosad is found present in fermentation juices of the soil bacterium Saccharopolyspora spinosa. Spinosad has been certified for use in organic agriculture since 2003 by the USDA National Organic Program (NOP) and is OMRI listed. 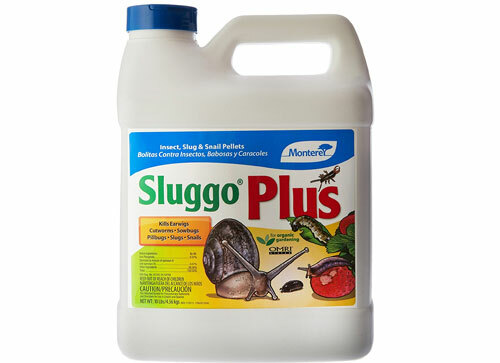 Sluggo Plus adds spinosad to their iron phosphate slug and snail bait to target earwigs, cutworms, pill bugs, sow bugs, slugs and snails. 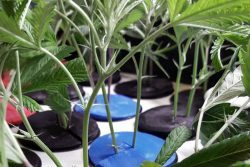 Other studies of spinosad’s effectiveness include thrips, leafminers, spider mites, mosquitoes, ants, and fruit flies. 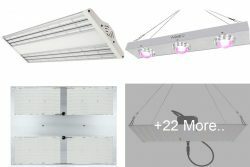 How it works: Takes 1-2 days to kill pests. 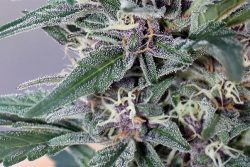 This organic bacterium targets the nervous system of garden pests, making them die in a day or two after consuming spinosad. 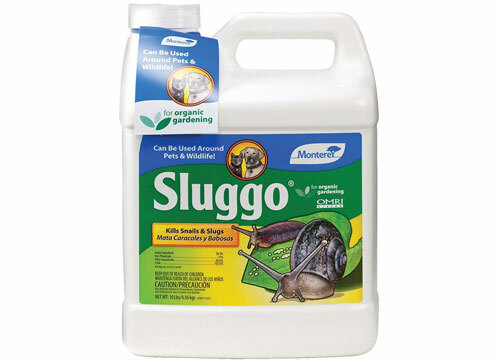 Sluggo Plus contiaining Spinosad is used to control slugs, snails, earwigs, sow bugs (roly poly), pill bugs, and cut worms too! 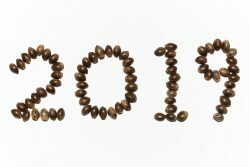 OMRI Listed for Organic Gardening. It’s important to clarify the dangers of using slug bait. Even organic slug bait should be never be ingested by humans or pets, and protected from runoff into rivers, streams, ponds, ect. Plants are at their greatest risk of slug damage when they are young. 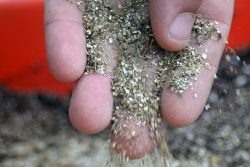 That’s why it’s best to apply slug and snail bait before planting seedlings or cuttings. The safest way to apply slug bait would be scattered around the perimiters and aisles of your garden area. This tried-and-true method attracts slugs away from plants instead of attracting slugs to them. If slug bait must be used in between plants, consider setting up trap stations by placing slug bait pellets in jar-lids or cut plastic bottles. 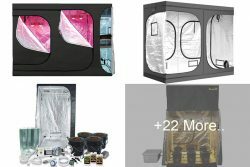 This will keep the slug bait contained (unless there is rough weather). Get excess debris, dead leaves and other damp materials out away from the garden area, as these all perfect habitats for slugs to hang out in. 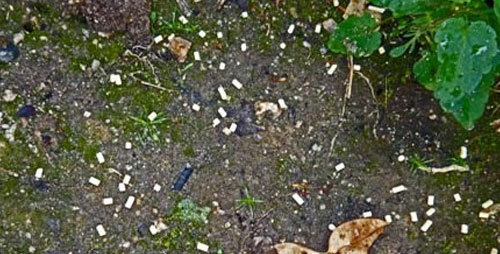 Repeated applications of slug bait may be necessary if there is a large population of slugs/snails. The two most commonly used active chemicals in non-organic slug bait are Ferric sodium EDTA (chelated iron phosphate) and Metaldehyde. 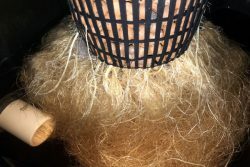 While Ferric sodium EDTA is recognized as safe, concerns about the high availability of iron have been raised here and negative effects on earthworms here. 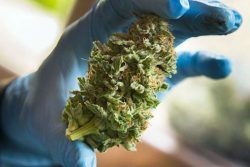 Metaldehyde on the other hand is classified as a “Restricted Use Pesticide” by the EPA and a potential contamination hazard. 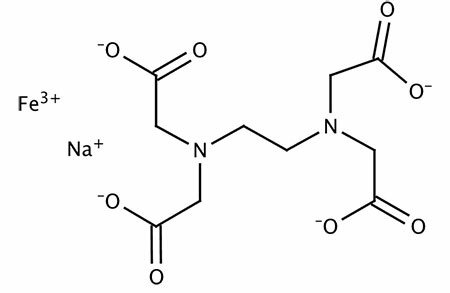 The newest active ingredient used in slug and snail baits, Ferric sodium EDTA (chelated iron phosphate) is a chelated form of an iron compound made with a chemical EDTA, which makes the iron more readily available to kill slugs and snails. It’s used in not just slug bait, but also in some nutritional supplements for human consumption as a source of iron. Ferric sodium EDTA is an active ingredient in many non-organic slug baits, regarded as a safer alternative to traditional Metaldehyde slug baits. However, ferric sodium EDTA may be harmful for humans and pets if ingested in quantity (more information about that here), and is toxic to soil microlife and aquatic arthropods which is why care should be taken when using it. How it works: Takes about three days to kill slugs and snails. Snails and slugs that consume ferric sodium EDTA stop feeding almost immediately after ingestion, and die in about 2-3 days. For the past 35 years, Metaldehyde was the most commonly used active ingredient in mollusk (slug & snail) bait. 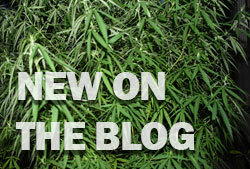 Metaldehyde has been widely reported on for it’s dangers to humans and wildlife (read Metaldehyde Toxicosis). 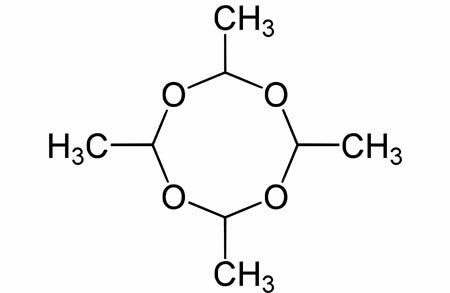 Metaldehyde is labeled by the EPA as a “slightly toxic compound” that is often detected contaminating surface water bodies exceeding the EU statutory drinking water limit of 0.1 μg L−1 for a pesticide. 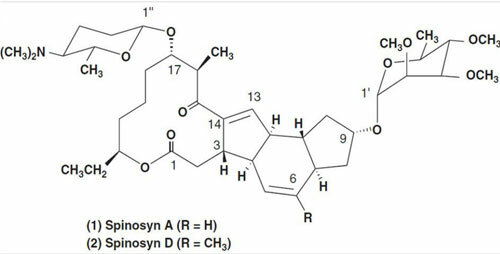 Bitrex – Added to Metaldehyde slug baits as a deterrent to ingestion, Bitrex (Denatonium benzoate) is an extremely bitter-tasting substance that most mammals will not eat. Denatonium benzoate is the most bitter substance known to humans. How it works: Takes less than a day to kill slugs and snails. Metaldehyde baits kill slugs and snails the fastest of all slug baits, often within 12 hours of application. Keep away from mammals that may feed on it, and water flow areas. 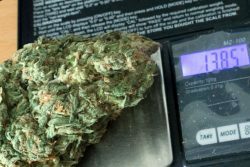 The EPA and independent tests have shown iron phosphate slug baits as basically harmless to mammals, birds, fish and worms when used as directed. Both organic iron phosphate and even non-organic metaldehyde slug baits have shown to not affect earth worms. However, Ferric sodium EDTA has been shown as being toxic to earthworms and should not come into contact with garden soil (source). When using slug baits follow all of the manufacturer’s instructions and warnings on the label. 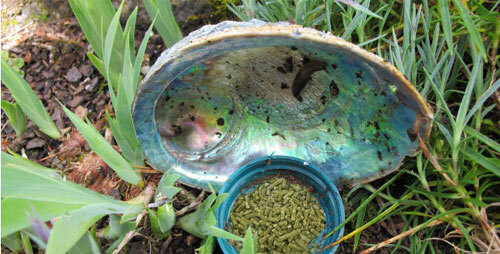 Don’t let slug and snail baits contaminate the edible (or smokeable) parts of plants.